Cognitive Dementia and Memory Service (CDAMS) is a specialist diagnostic clinic for people with early changes or concerns about memory loss. Early diagnosis is important to determine appropriate treatment needs and to plan for the future. CDAMS provides people with a timely opportunity to learn about their condition, understand changes as they occur and to cope with day to day issues of cognitive impairment. What is involved in a CDAMS assessment. A specialist nurse will visit you in your home to complete an initial assessment. This will involve discussing your medical, health and other needs. The CDAMS service provides clients with access to specialist medical practitioners for assessment and diagnosis. This is provided via onsite clinics and Tele health services. It is important that your own doctor is informed about your involvement with this service, so that the CDAMS team can advise them on how best to support you in the long term. The Cognitive Dementia and Memory Service (CDAMS) is a specialist diagnostic clinic which aims to assist people who are experiencing memory loss, or changes to their thinking, and those who support them. There are many causes of cognitive impairment and memory loss, so getting an accurate diagnosis is vital so that appropriate treatments and information can be recommended. As part of the ageing process some people may notice some mild slowing in their memory or thinking. This is normal. If, however, the changes become progressively more obvious and begin to impact on everyday life, an assessment of memory and thinking would be appropriate. If you would like to discuss, or make a referral please contact us on 5025 9002, or talk to your doctor or another Health Care professional about making a referral for you. *If you are under 50, a referral from your doctor is preferred. 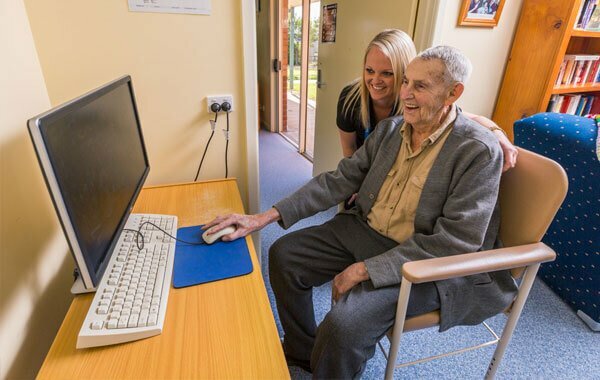 Phone 5022 5444 and ask for the Program Support worker for our Cognitive Dementia and Memory Service.